FIX P2015 or 008213 AUDI VW SEAT SKODA 2.0 TDI INTAKE MANIFOLD REPAIR BRACKET. This bracket fixes the P2015 Error. Also may clear P2002 P2009 P2015 P2017 error codes. 008213 Encoder intake manifold flap position. New Intake Manifold Repair Bracket (fault code: P2015) for AUDI/SEAT/SKODA/VW 2.0TDI Engine. Audi, Seat, Skoda and VW 2.0TDI engines from 2008 to 2014 with Aluminium manifold Repair Bracket as pictured. P2015 code is a signal that points to an error with a butterfly valve actuator in your intake manifold (V157). (The purpose of the flap/valve assembly is to provide swirl to the air as it enters the intake at low/idle RPMs for improved emissions. ). 03L 129 086V, 03L-129-086V, 03L129086V. 2.0 TDI, 1968, AZV, CBAA, CFFA, 2003.05 - 2012.08. 2.0 TDI 16V, 1968, BKD, CBAB, CFFB, CLJA, 2003.05 - 2012.08. 2.0 TDI 16V quattro, 1968, BKD, CBAB, CFFB, 2004.08 - 2012.08. UK BASSED COMPANY SAME DAY DISPATCH, 3 YEARS WARRANTY ! With manifolds oem nr 059129711 & 059129712. AUDI VW Swirl Flap Repair Kit for 2.7 & 3.0 TDi Inlet / Intake Manifold. Swirl Flap Repair kit for the Audi Vw 2.7 & 3.0 TDI Engines. this is a common repair for the fault on the Inlet / Intake Manifold. VW Audi Cayenne 2.7 3.0 4.2 TDI. 1x Pair Repair Bracket Manifold. Health & Beauty. OEM Number: 059129086J,059129086L,059129086G,059129086K,059129712P, Z059129712BG,Z059129712BK,059129712. Easy installation and durable. Intake Manifold Flap Actuator Motor for Passat Golf VI Audi A4 A5 A6 Q5 TT 2.0 TDI 03L129086 03L129086V 03L129086V120. Audi A3 8P1 2.0 TDI [2003-2012] Hatchback 1968 136 100. Audi A3 8P1 2.0 TDI [2003-2012] Hatchback 1968 170 125. 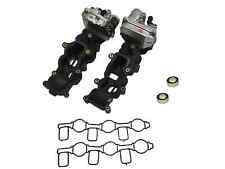 For Audi VW 2.0TFSI Inlet Intake Manifold Runner Flap Delete Removal Blanks Kit. Condition is New. Dispatched with Royal Mail 1st Class. VW Audi Cayenne 2.7 3.0 4.2 TDI. 1x Pair Repair Bracket Manifold. Video Gmaes & Console. Health & Beauty. OEM Number: 059129086J,059129086L,059129086G,059129086K,059129712P, Z059129712BG,Z059129712BK,059129712. This is a intake manifold runner flap delete system for the 2.0T TFSI engine that is made here in the UK on the finest CNC machines! Audi TT and TTS 57 plate and onwards 2.0TFSI. Audi A4 B7 55 plate and onwards 2.0TFSI. UK BASSED COMPANY SAME DAY DISPATCH, 2 YEARS WARRANTY ! 2008-2013 Audi A3 A4 A5 A6 TDI 2.0L; Diesel. 2013-2014 Volkswagen Beetle TDI L4 2.0L; Diesel. 2010-2014 Volkswagen Golf TDI L4 2.0L; Diesel. 2009-2014 Volkswagen Jetta TDI L4 2.0L; Diesel. Audi A3 2.0 tdi 136 100 2008-2012. ITEM NUMBER A104. VW GOLF MK4 1.8T, 150HP, AGU ENGINE ONLY. AUDI A3 1.8T 150HP AGU ENGINE ONLY. A NEW INLET MANIFOLD GASKET. 1 x INLET GASKET. FROM 1996 TO 2003. SUITABLE FOR. Genuine Seat, VW, Audi and Skoda ADBLUE Diesel Exhaust Treatment 10L. New! The chart below details the AdBlue® tank size and location for all models that use SCR. This begins a chemical reaction which removes the polluting oxides of nitrogen (NOx), converting them into harmless oxygen and nitrogen in a process known as Selective Catalytic Reduction, or SCR for short. Seat Altea XL 5P8 1.8 TFSI. Seat Altea XL 5P8 2.0 TFSI 4x4. Seat Altea 5P1 1.8 TFSI. VW Tiguan 5N_ 2.0 TFSI 4motion. Seat Leon 1P1 2.0 TFSI. VW Jetta MK III 2.0 TFSI. VW EOS 1F8 2.0 TFSI. VW Tiguan 5N_ 2.0 TSI 4motion. 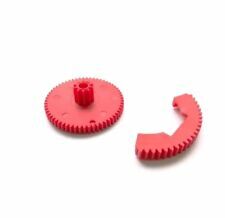 Interchange Part Number: 03L129711E, 03L129711AG, 03L129086V. Actuator motor No. 03L129086 & 03L129711E. Fix your TDI CR Diesel P2015 fault code now and save yourself money. You can install our set in 15 minutes with simple tools. Sharan (10->). Tiguan (07->). Scirocco (08-17). Inlet Manifold Module. Passat CC (08-12). Passat (10-14). This will fit the following vehicles:-. 1.8 TSI / 2.0 GTi/TSI. Seat Altea 5P1 2.0 TDI. Seat Altea XL 5P5 5P8 2.0 TDI. VW Tiguan 5N_ 2.0 TDI. VW Tiguan 5N_ 2.0 TDI 4motion. Seat Toledo MK III 2.0 TDI. VW Passat 3C2 2.0 TDI 16V 4motion. VW Passat 3C2 2.0 TDI 4motion. 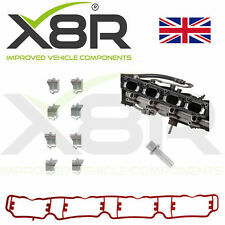 Audi VW 2.0 TFSI T FSI Inlet Intake Manifold Swirl Runner Flap Runner Delete Repair Kit Plate Blanks. Audi VW 2.0 TFSI T FSI Inlet Intake Manifold Runner Flap Delete Repair Kit Plate Blanks Kit - YouTube. AUDI VW SEAT SKODA 2.0 TDI INTAKE MANIFOLD 03L129711E P2015 REPAIR BRACKET FIX. Interchange Part Number: 03L129711E, 03L129711AG, 03L129086V. Actuator motor No. 03L129086 & 03L129711E. -Fix your TDI CR Diesel P2015 fault code now and save yourself money. 100% FEEDBACK+ UK SELLER+FAST SHIPPING!!! AUDI VW PORSCHE 2.7 3.0 TDI V6 SWIRL FLAP DELETE KIT. 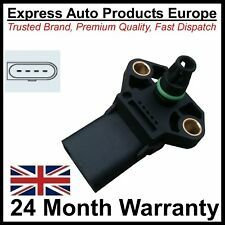 FITS A4 A5 A6 A8 Q7 TOUAREG PHAETON CAYENNE 2.7 3.0 TDI. OUR DELETE KIT ALLOWS YOU TO REUSE YOUR INTAKE MANIFOLD WITHOUT ANY FURTHER ISSUES HOWEVER AFTER THE INSTALLATION THE ENGINE SOFTWARE WILL NEED TO BE CHANGED. AUDI A8 (4E_) 3.0 TDI 2002-2010. Audi, VW, Porsche 2.7, 3.0 TDI. AUDI A6 (4F2, C6) 2.7 3.0 TDI 2004-2011. AUDI A4 Convertible (8H7, B6, 8HE, B7) 2.7 3.0 TDI 2002-2009. AUDI A4 (8EC, B7) 2.7 3.0 TDI 2004-2008. Twin plenum design with CNC backplate with integrated velocity stacks. Air intake temp sensor mounted on the back plate. It was made to fit VAG 4cylinder type engines. Although the plenum is big enough for a 5 cylinder back plate. INTAKE MANIFOLD 03L129711E P2015 REPAIR BRACKET FIX FOR AUDI VW SEAT SKODA 2.0 TDI. Actuator motor No. 03L129086 & 03L129711E. All VAG 2.0TDI common rail engines 2008 - 2014 with aluminium manifold. 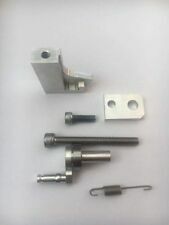 1 x repair bracket kit (bracket, top clamp, cap screw). 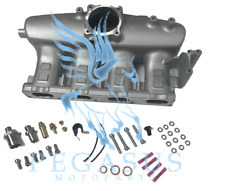 2 Intake Manifold 059129711 059129712 Fit Audi A4 A6 VW PHAETON TOUAREG 2.7 3.0T. AUDI A4 Convertible (8H7, B6, 8HE, B7) 2.7 3.0 TDI 2002-2009. AUDI A8 (4E_) 3.0 TDI 2002-2010. AUDI A6 (4F2, C6) 2.7 3.0 TDI 2004-2011. Tiguan (07->). Scirocco (08-17). Passat (08-14). Jetta III (05-10). Jetta IV (10->). Intake Manifold. New Beetle (11->). Sharan (10->). AIR INTAKE MANIFOLD FOR VW BEETLE, CC, EOS, GOLF, JETTA, PASSAT, SCIROCCO, SHARAN, TIGUAN, 06J133201BD. VW Sharan 7N [2010-2018] MPV. VW Tiguan 5N_ [2007-2018] SUV. VW Scirocco 137, 138 [2009-2018] Coupe. ITEM NUMBER A1227. SEAT ALTEA 2.0FSI FROM 2005. VW GOLF MK5 2.0FSI FROM 2004. SKODA OCTAVIA MK2, 2.0FSI FROM 2005. AUDI A3 MK2 2.0FSI FROM 2004. SEAT LEON MK2 2.0FSI FROM 2006. NEW ENGINE BREATHER PIPE. ITEM NUMBER A1385. SKODA OCTAVIA MK1 HATCH & ESTATE 1.6. SKODA OCTAVIA MK2 HATCH & ESTATE 1.6. 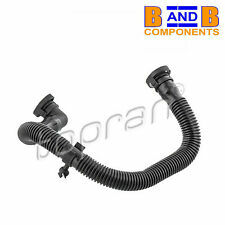 A NEW SECONDARY AIR PUMP OUTLET HOSE. VW BORA SALOON AND ESTATE 1.6. VW CADDY ESTATE & VAN 1.6. VW MK4 HATCH & ESTATE 1.6. HERE YOU ARE BUYING. PART NUMBER: 03G 129 713. New Intake Manifold Repair Bracket (fault code: P2015) for AUDI/SEAT/SKODA/VW 2.0TDI Engine. 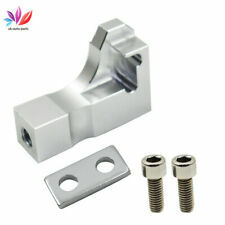 New Intake Manifold Repair Bracket for AUDI/SEAT/SKODA/VW 2.0TDI Engine. Audi, Seat, Skoda and VW 2.0TDI engines from 2008 to 2014 with Aluminium manifold. Inlet manifold as part number removed from a 1.8t aum engine. Collection preferred. ITEM NUMBER A1157. SEAT ALTEA 2.0FSI FROM 2005. VW GOLF MK5 2.0FSI FROM 2004. SKODA OCTAVIA MK2, 2.0FSI FROM 2005. AUDI A3 MK2 2.0FSI FROM 2004. SEAT LEON MK2 2.0FSI FROM 2006. NEW ENGINE BREATHER PIPE. Audi A3 8P1 2.0 TDI. Audi A3 8P1 2.0 TDI 16V. Audi A3 8P1 2.0 TDI 16V quattro. Audi A3 8P1 2.0 TDI quattro. VW 03L 129 086. VW 03L 129 086 V. Audi A3 8PA 2.0 TDI. Audi A4 8K5 B8 2.0 TDI.